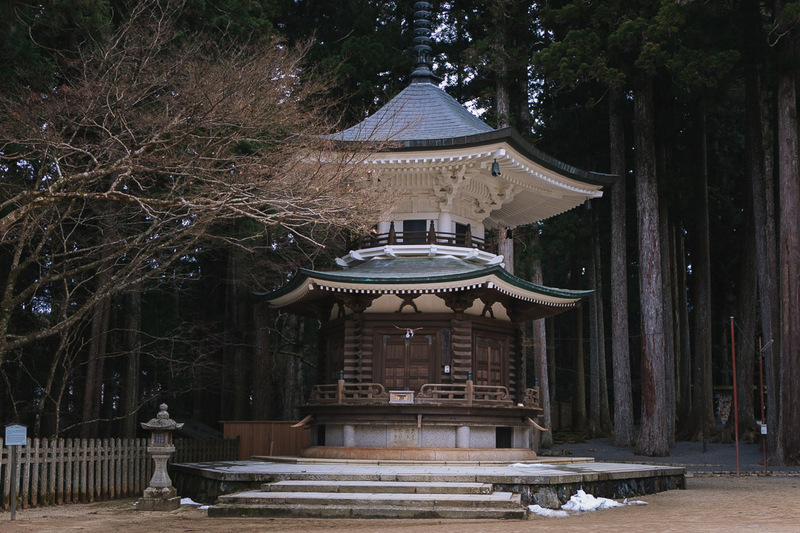 The morning air is crisp and fresh up here in the Temple Town of Koyasan. Primeval forests surround the sleepy town, and it is the giant old Cedars in the distance that we can smell. 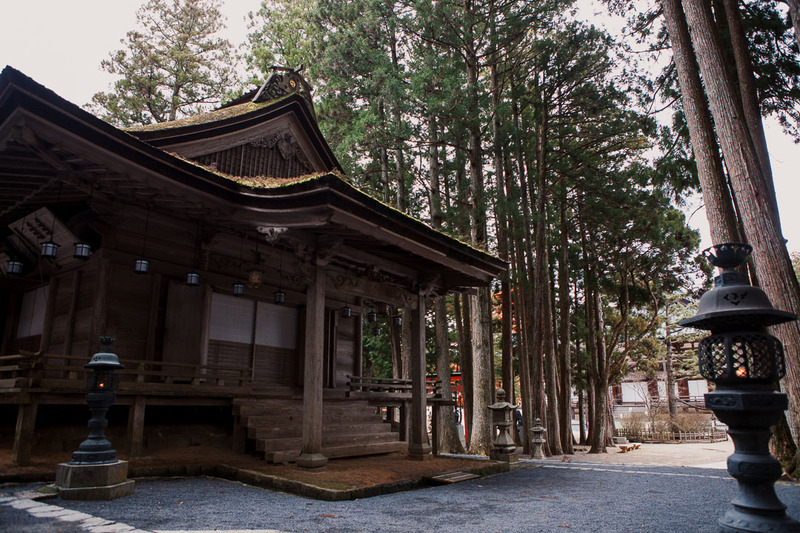 Koyasan is a temple town and the cradle of Shingon Buddhism. 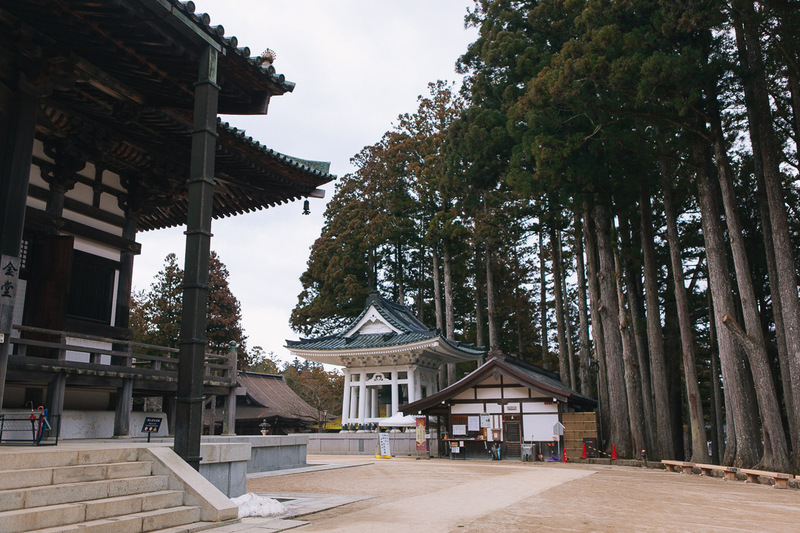 The main temple, the Garan, was founded around the year 800 by Kobo Daishi. 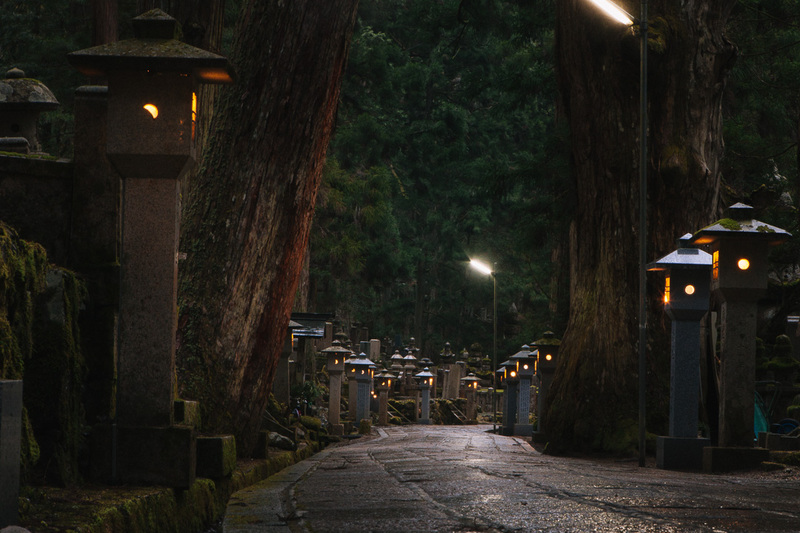 Since then, hundreds of temples have sprung on the streets of Mount Koya. We haven't bothered leaving our bags in the temple where we will be staying tonight. Instead, we are walking down the streets to find some breakfast. A short bus-ride from the train station has brought us to the centre of town. The bus dropped us off by the post office whilst many shops were still shut - some are now opening. We cross the road to the beat of a cute electronic bird tweet announcing the pedestrian light is green. Through some research I've found a highly-rated place to eat. The shop is a family business known for their fresh, soft, heavenly goma-dofu (sesame tofu). This tofu is made of three ingredients: local spring water, ground sesame paste and kudzu root powder. The result is a block like panna-cotta, mild in taste. 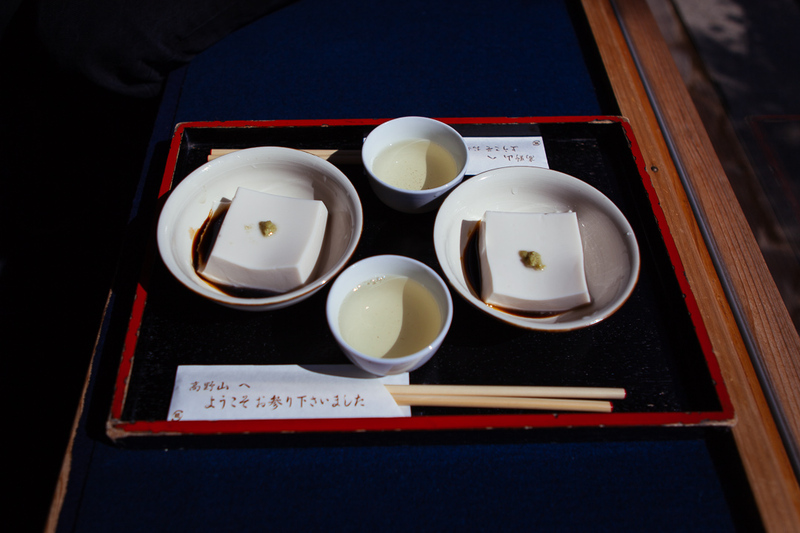 This is a staple of shoujin ryouri, the vegan cuisine of Buddhist monks. Buddhists monks' cuisine goes beyond being vegan or vegetarian. Monks don't eat strong-tasting vegetables (like garlic) because they believe they 'excite the senses'. But just because it's simple, it doesn't mean their food is plain. In fact, a lot of monk head chefs take a lot of care and dedication in cooking. Their food, though pared down, can be an intense experience for those who appreciate simplicity. A blue carpet and long counter furnish this bare shop. There are no tables, but there is a bench by the bright windows. In the back, three generations of a local family are making today's batch of goma dofu. I take a peep and they spot me - someone's coming out to greet us. The lady has kind, smiling eyes and good English. She explains the tradition of making goma dofu and points at a little stream that runs outside the shop. They use this spring water to make the tofu. She hands us a sheet that show two pictures of tofu. One is dressed in soy sauce and the other has a little sugar sprinkled on top. We go for savoury. We wait five minutes before our tofu appears in front of us. It is simple, like in the photo. It has a bit of wasabi and some soy sauce. We cut a slice and try it. My eyes and Chris' meet each other - they are wild, in mutual understanding. 'This is a piece of heaven,' I say. And it is. It's the silkiest, creamiest, softest piece of food I have ever tasted. The flavour is subtle, you have to find it, to imagine it. It is ephemeral, its trail gone before you can memorise it. We decide against a second serving. We don't want to spoil the experience. 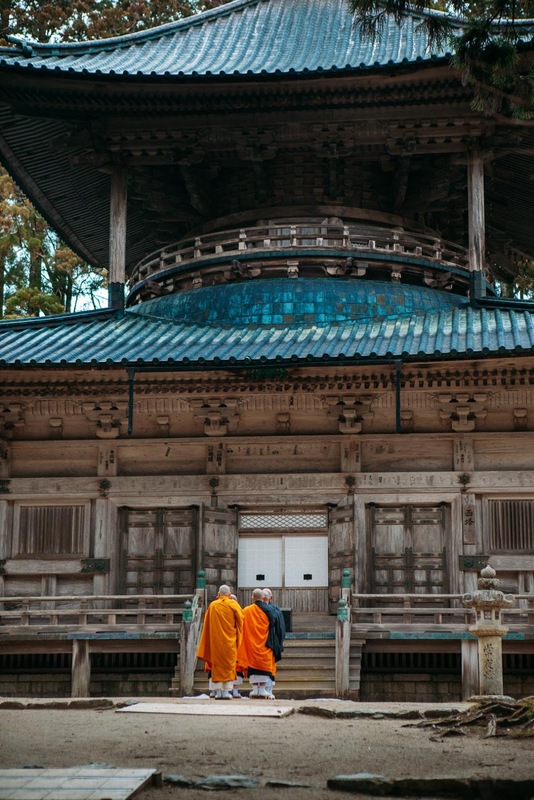 There's a lot of discussion online on whether visiting Koyasan is worth it. One has to go in with the right expectations to enjoy it. 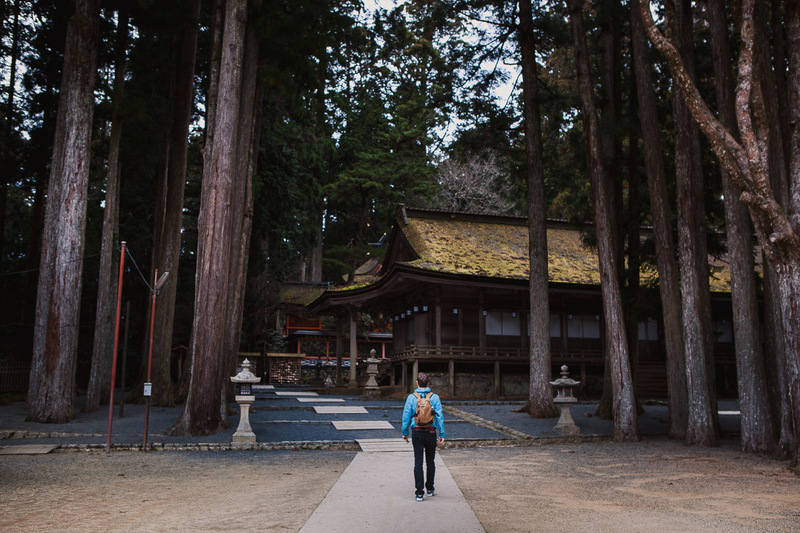 Koyasan isn't a town for shopping, sight-seeing or night-life. It's a sacred temple town. It's a place to find a connection with nature and with your inner being. 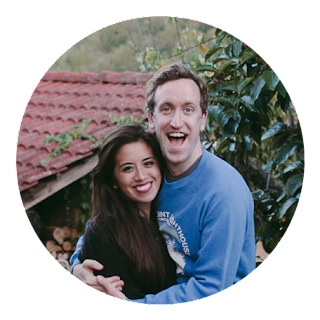 It's a place for walks, mindfulness, spirituality, traditions, exploring and trying. 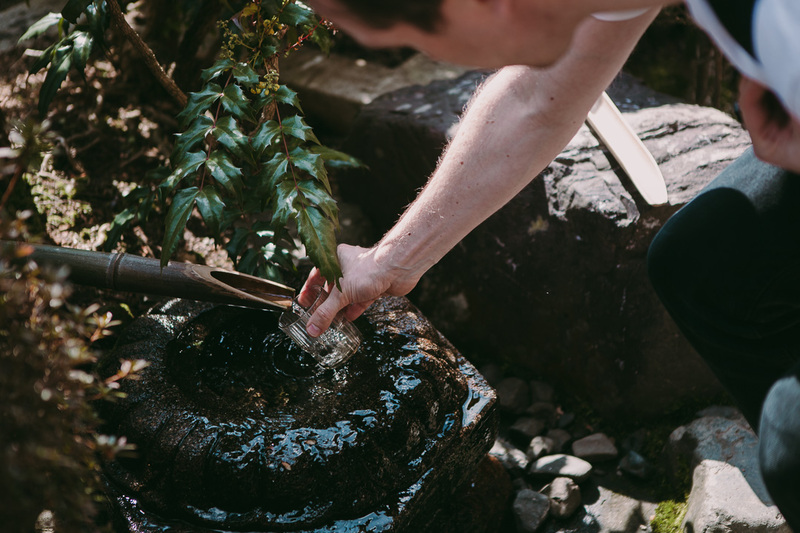 The best things to do in Koyasan are based on getting a taste of a monk's life. 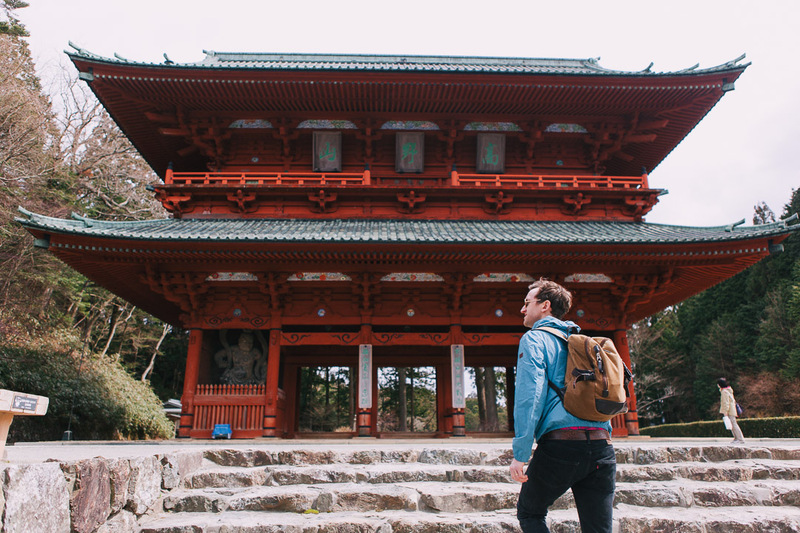 Temple lodging and cuisine (Shojin ryori), visiting the Garan, exploring the Okunoin Cemetery... even going for a walk in the mountains. Generally, it's about slowing down. We walk to the East end of town and start at Daimon Gate. 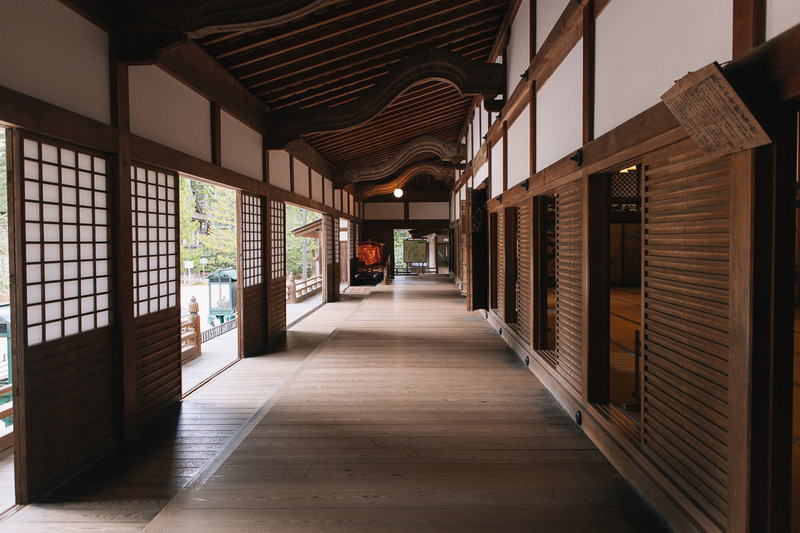 A huge, imposing wooden structure, it has an opening in the middle through which we walk. On the sides, it's guarded by two statues of Hindi Gods Un-Gyo (mouth closed) and A-Gyo (mouth open). Life and death. 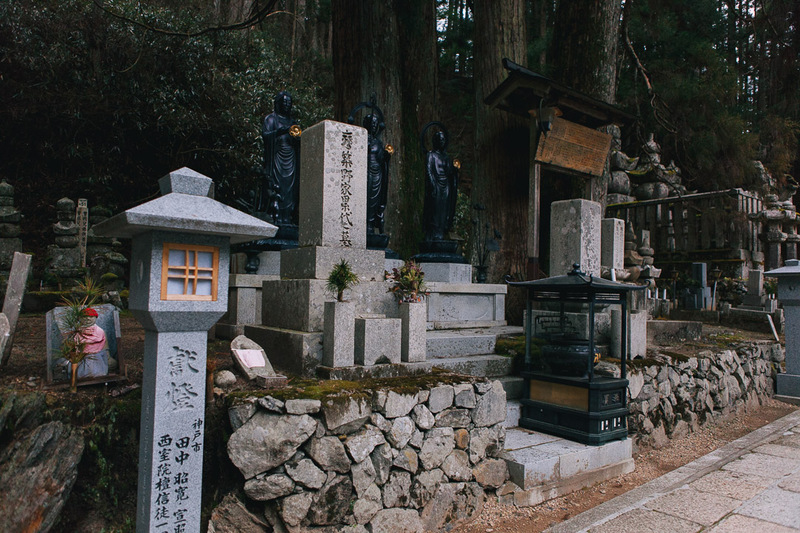 Nearby there's the Otazuke-Jizo, a tiny shrine to the deity, protector of travellers. 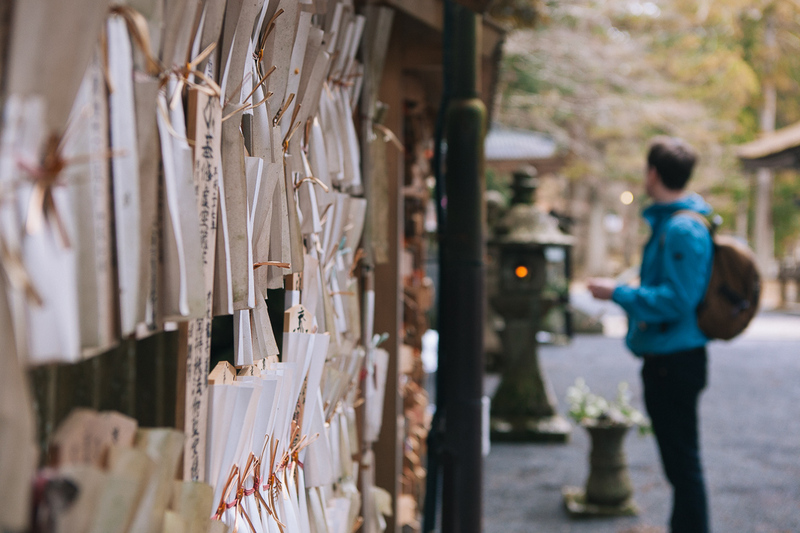 If you get off the beaten path to find it, you're granted one wish. Make it count. 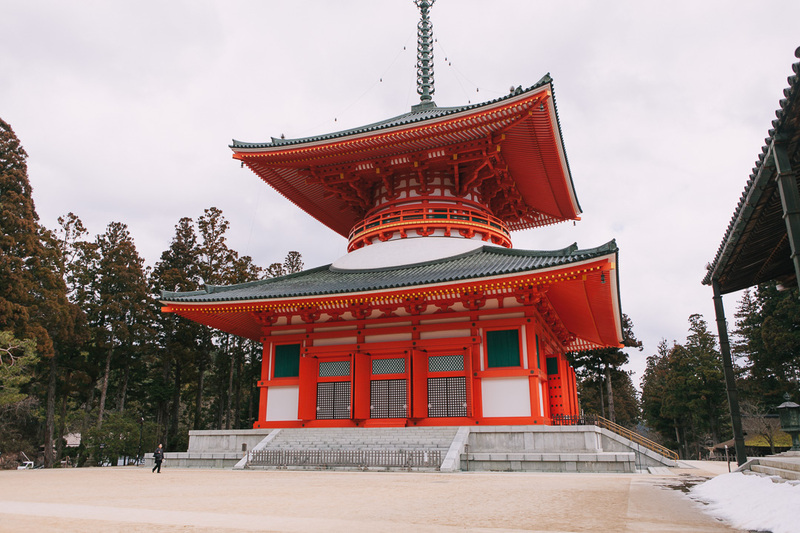 Next we seek out the photogenic Konpon Daito pagoda with its blood-orange structure. 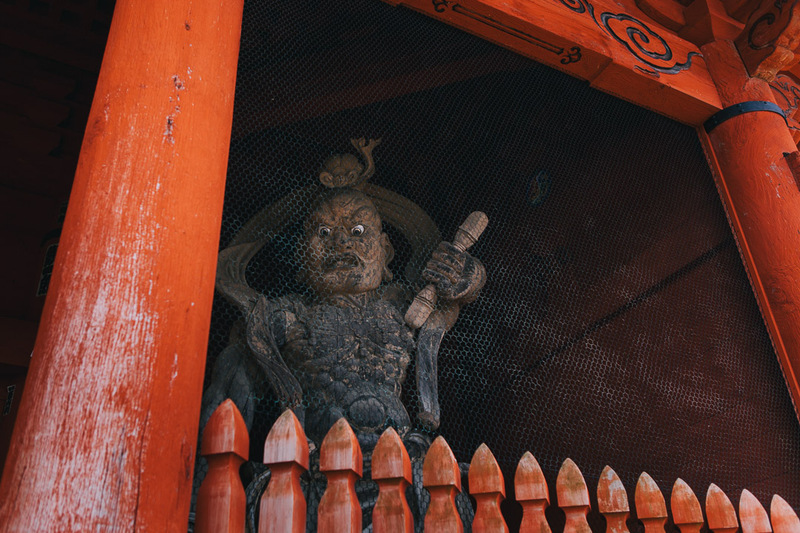 We visit Kon-do Hall, Chu-mon gate and Kongobu-ji Head temple. The temples seem to be in bundles together, and it's beautiful to discover them one by one on our silent walk. We arrive at the Danjo Garan, the headquarters of Shingon Buddhism. Tall Cedars surround the Garan. 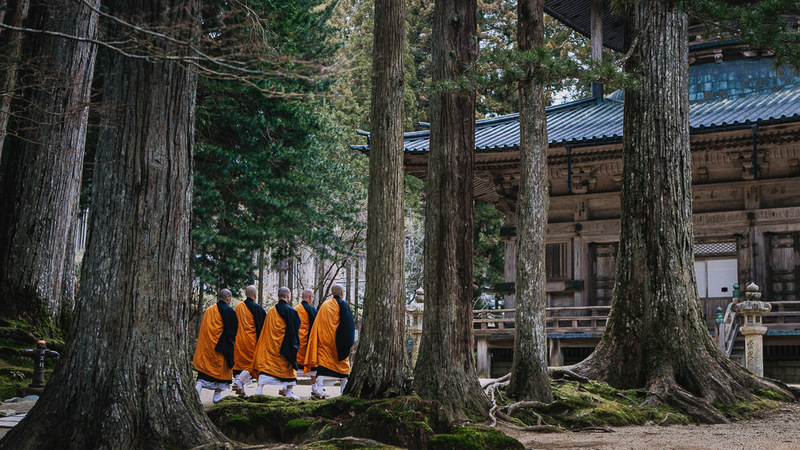 In the distance we can hear chanting, and we turn around to see a group of monks paying their respects and offering prayers to temples, one by one. 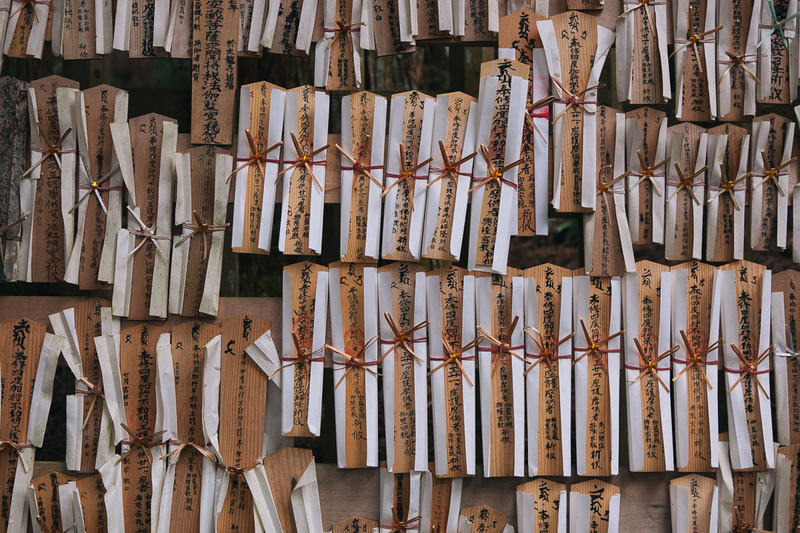 We take the time to quietly sit down at a temple and trace our own chants. My favourite part of Koyasan comes later, after dinner. 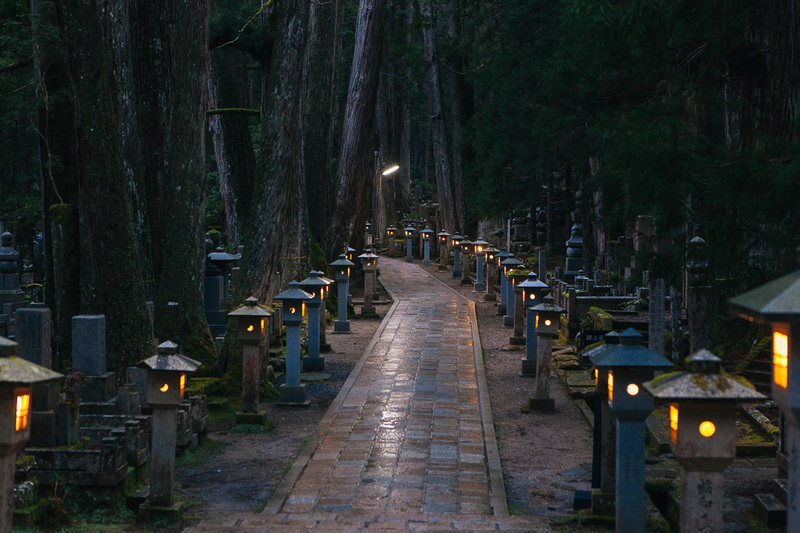 We have decided to visit the Okunoin (the monk cemetery) after-dark. We've heard there's a tour at twilight but by the time we arrive there, we've missed it. Instead, we're now at the opening in the forest. Behind us, the sky sends threats of rain. Ahead, a long and dark path stretches as far as the eye can see. The eye can't see much - it's getting dark. The only way is forward. The entrance looks innocent enough. Like a walk in the park. All of a sudden the rain starts pouring, so we head into the forest and seek cover under the canopy of the trees. The darkness shrouds us, a path of tiny twinkly lights shines the way beyond Ichinohashi Bridge. There is not a soul around us. A sea of stone now reveals itself. Everywhere we look there are tombstones and mausoleums covered in moss. 200,000 of them in fact, as this is the largest cemetery in Japan. The memorials stretch in every direction, even up onto the side of the mountain. 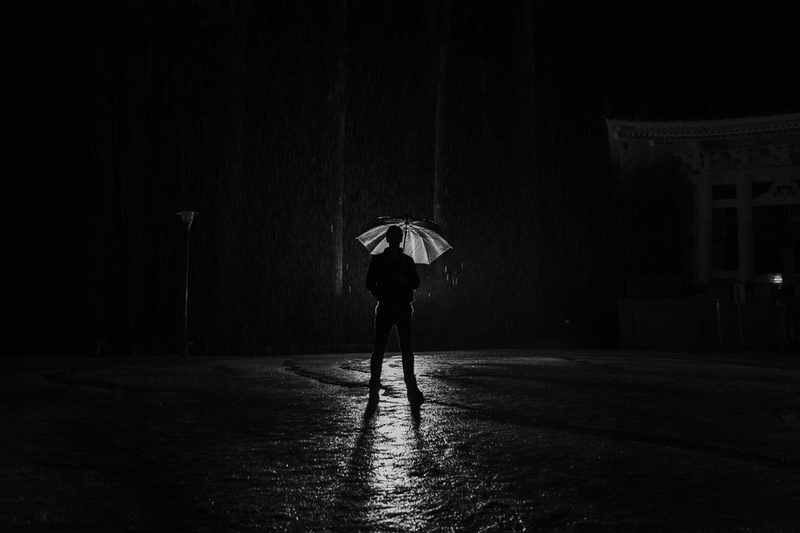 A sort of fear slices through the silence and wills us onward. The thought of staying still is scarier than going deeper in. We walk and walk for what feels like eternity. 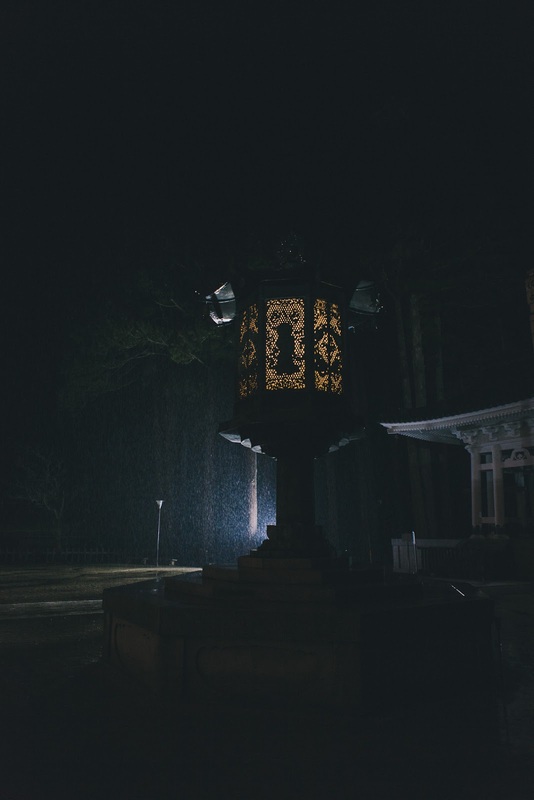 The place is eerie and so quiet we can hear the rain drops coming down on the cold stones. A thick fog has now descended and we can barely see what's ahead. This path is 2km long, but we know we're near something special now. We pass a stream and suddenly the rain stops. There's a goldern glow ahead. We're at the Hall of Lamps. Torodo Hall - as it is known - is the main hall for worship. We peek through the window. In the midst of the blue darkness, a thousand little bright yellow lights float in the air, suspended from the ceiling of this amazing temple. Tens of thousands of lanterns have been donated to the Hall and are kept eternally lit - some have been burning for 200 years. Tonight they are our beacon. We walk around the perimeter of the Hall. We can't go in, but we make our way behind it. 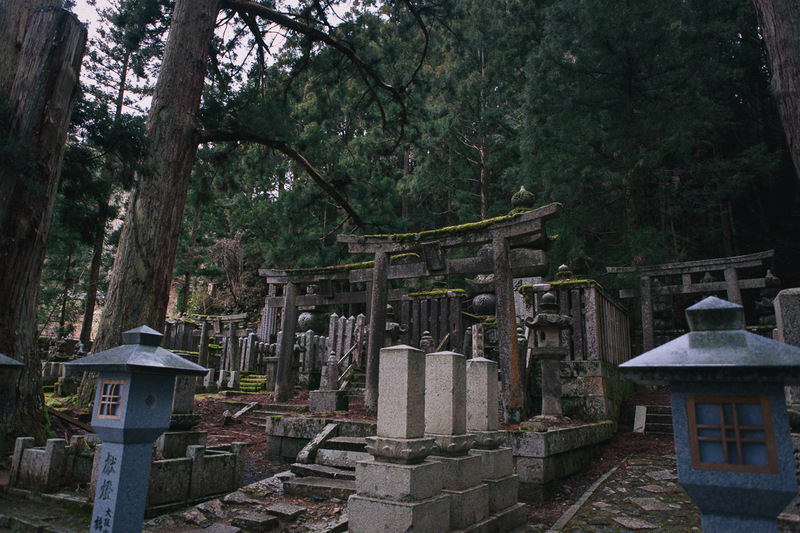 Behind Torodo Hall lies Kobo Daishi's mausoleum. 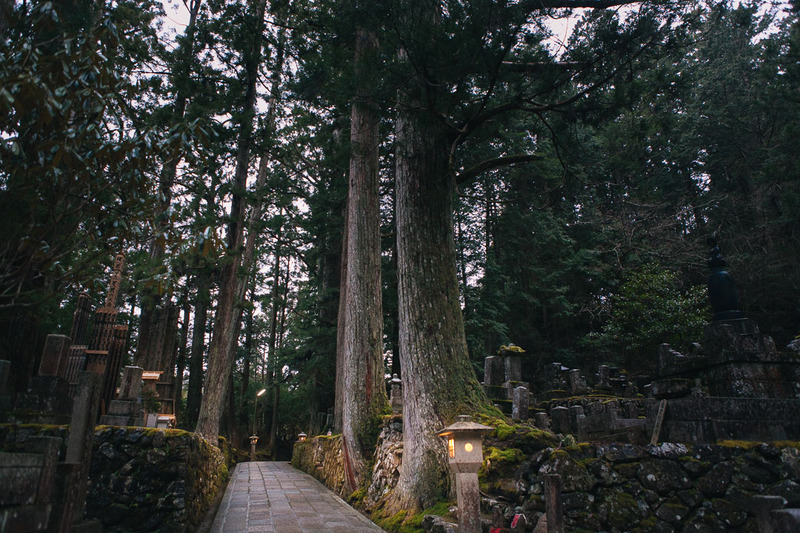 Instead of passing away, Kobo Daishi is said to have entered eternal meditation here in 1984. It is now more than an hour since we entered Okunoin. The spookiness has left us and is now replaced with a sense of deep humility. We offer our prayers in silence. Finally, after a long while we walk away from this magical experience. We look over our shoulders as we said goodbye. I didn't even try to take a picture of it, nothing can do it justice. But as we move away, after a few steps, the darkness engulfs us once again and we quickly pick up the pace back out of Okunoin. 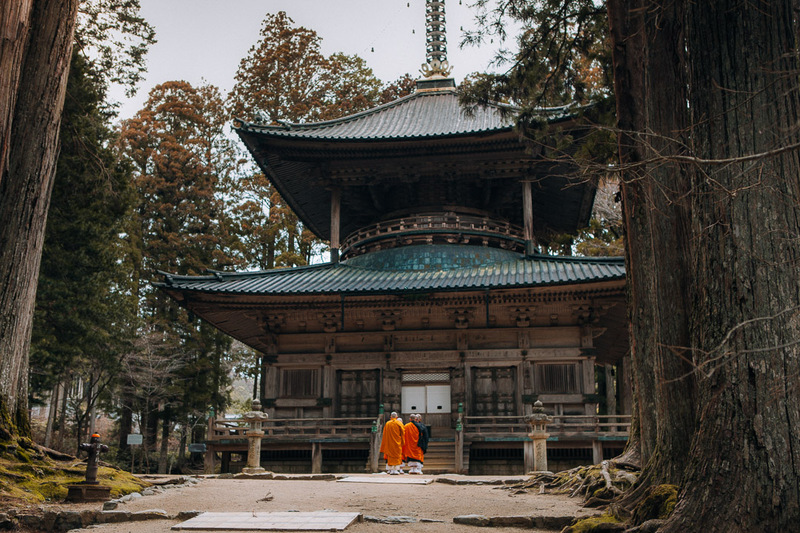 We'd done a lot of research prior to booking our temple stay in Mount Kōya and settled for Yochi In, a Buddhist Shukubo (monk lodging) established in 1127 by an imperial prince. 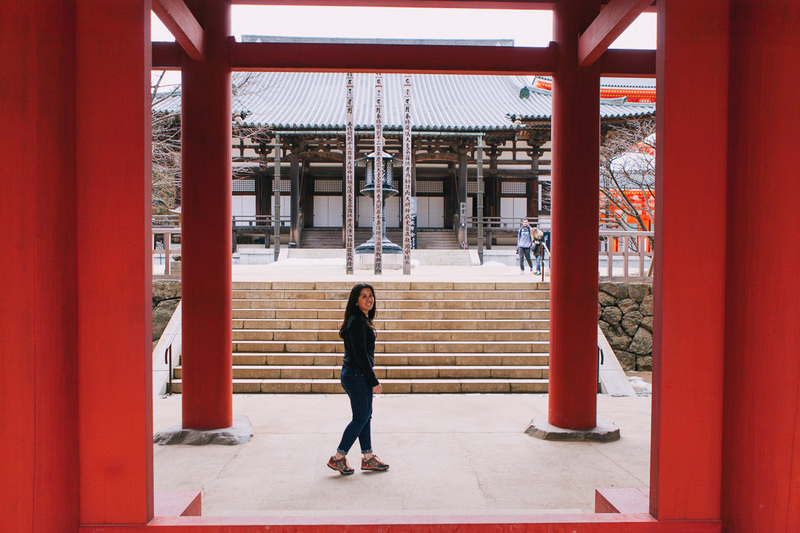 The temple is a five minute walk from the Kongobuji and the main temples. One thing that strikes me is how despite taking in hundreds of visitors every year, the temple is basic, traditional and spiritual. The trainee monk who greets us speaks virtually no English (not that we expected him to), so we communicate via drawings and google translate. The rooms are bare, which is kind of traditional for a Japanese room. I hear the Shukubo is freezing cold in winter. The services here are minimal, no one is here to attend to you or look after you. You are simply a guest in a working temple and it is you who adjusts to the timetables of the monks. We didn't book dinner at Yochi (which needs to be done well in advance at any monk temple) but we've heard it's a good part of the experience. We've had a long day so we are glad to be in our room. We fall into a deep sleep as soon as our heads touch the pillow. It barely feels like we've been asleep for five minutes when our alarms go off. It's 5:45 and we have 15 minutes to get ready to join the monks in their early morning Buddhist Service. We brush our teeth and in our sleepy haze head to a room at the front of the temple. We take our shoes off and go into a dark room. The smell of incense permeates every sense as our eyes adjust to the new setting. The room is square and heavily decorated, it glows golden and red. The walls have thousands of wooden carved figures. Lamps hang from the ceiling. 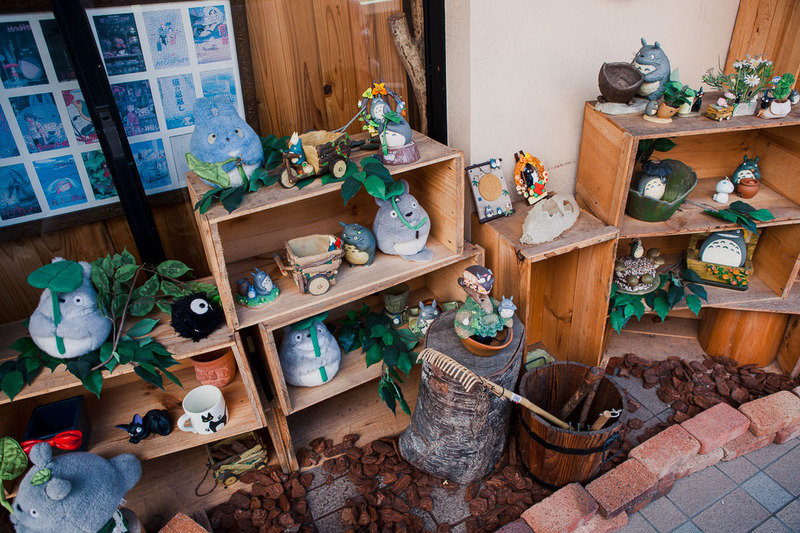 In the middle, there's a shrine, a bowl and a drum. We're given lyrics to some Sutras that we're welcome to join in and sing later on. The ceremony is intriguing and beautiful. The monk's throaty chants reverberate in the back of my mind. I don't know if it's the lack of sleep or the smell of incense but I'm like in a trance. When the ceremony is over we get a chance to ask the trainee monk anything we want. He strikes us as someone so wise beyond his years, he considers his answers with no rush, and is deliberate in the words he chooses to explain his philosophy. When we go back to our room, our futons have been put away. We shower, dress and say goodbye to our hosts. On the main road we enter a 7-eleven and get an egg sandwich and water to go. We're catching an early train back as there is a lot more of Japan to see, and this is only the start. 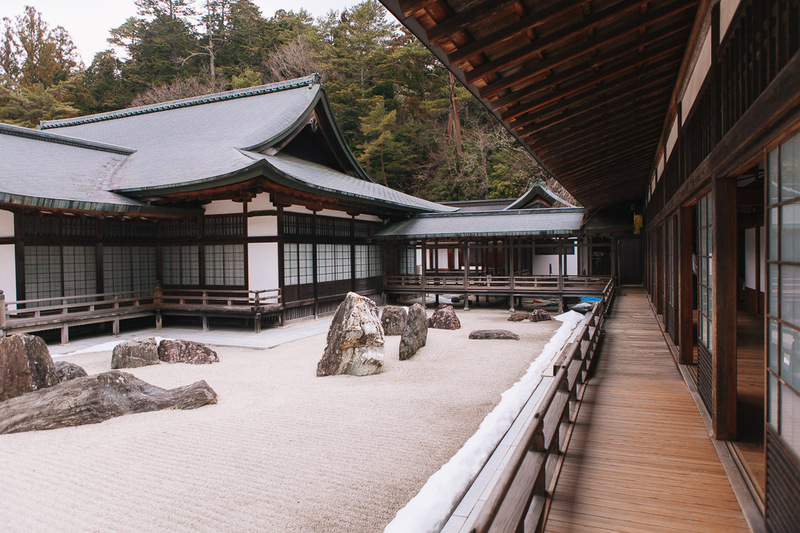 Koyasan can be done as a day-trip from Osaka or an overnight stay. It's just under 2 and a half hours of train ride from Namba station. 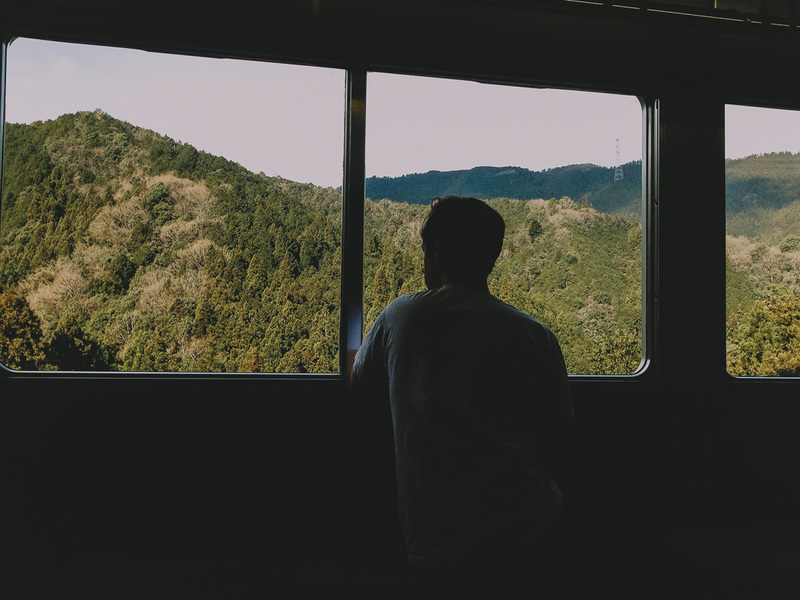 Catch the Nankai-koya line to Hashimoto and then switch to a same-line train to Gokurabashi (and sit facing the window, not your phone!). Finally, take the 5 minute Nankai-Koyasan cable car. 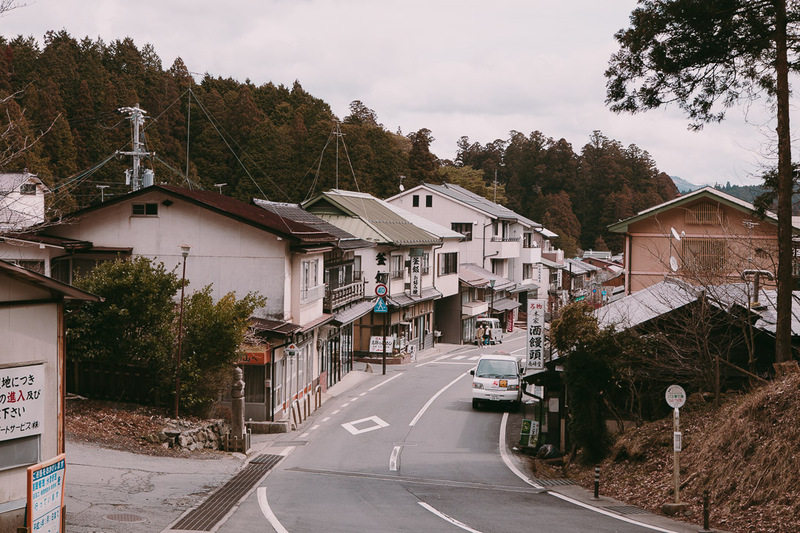 From Koyasan station, a frequent bus service takes you into the town in less than 15 minutes. The whole ride is about ¥1,260 (under £10/$15). 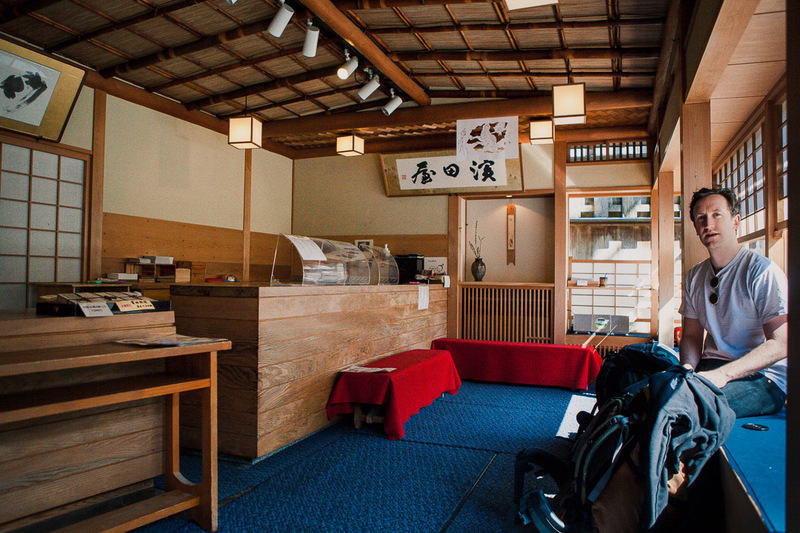 Stay in a Shukubo (temple lodging) and book dinner / breakfast ahead too. 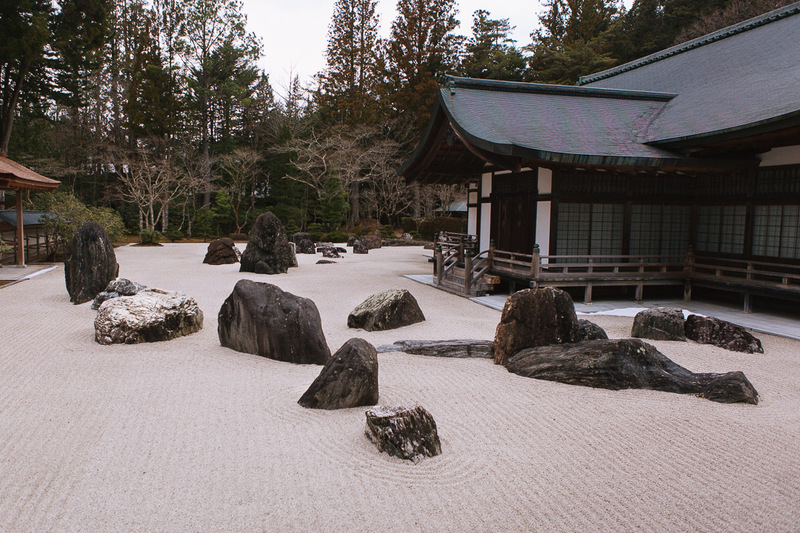 We stayed at Yochi-in but head over to the Shukubo Association Official Site to research and book directly with them. A well-recommended Shukubo where food is also highly-rated is Ichijou-in. I highly recommend Hamadaya. Beyond this, there are a number of noodle shops and Shabu-shabu restaurants (where you cook your raw veggies and meats in a hotpot). Most restaurants close early, so be advised: either book ahead at your Shukubo or head out for dinner before your chosen restaurant shuts.